In the case of Christian Louboutin S.A. v. Yves Saint Laurent Am. 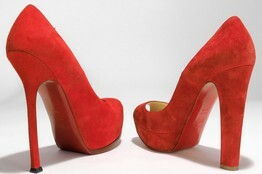 Holding, Inc., the U.S. Court of Appeals for the Second Circuit announced yesterday, Wednesday, September 5, that it was partially reversing the District Court’s ruling against Louboutin and that the French shoe designer is entitled to trademark protection for its iconic red heel, except when the shoes are entirely red. Calling this conclusion into question, the Court of Appeals stated that the red soles had acquired “secondary meaning” under the Lanham Act as a recognizable symbol of the Louboutin brand. Judge Jose Cabranes, who wrote for a unanimous three-judge panel, explained in the court opinion that the red sole had the “requisite ‘distinctiveness’ to merit protection.” Judge Cabranes wrote that it was “the contrast between the sole and the upper that causes the sole to ‘pop’ and to distinguish its creator.”As such, Louboutin does, in fact, have the right to trademark its red soles, as long as the sole contrasts with the rest of the shoe. It partially reversed the lower court’s order and sent the case back to the district court for further proceedings. However, the appeals court is still allowing Yves Saint Laurent to sell its line of monochromatic shoes. Both sides have declared victory. On the one hand, Harley I. Lewin, lawyer for Christian Louboutin, said that the company “considers this a significant win for Louboutin” and that he believes Louboutin may be able to return to court one day to win protection even in cases where the shoes are also red. On the other hand, David H. Bernstein, lawyer for Yves Saint Laurent, said that for them it’s “a complete victory,” as the luxury brand has been permitted to sell its line of red shoes.